Machine gun jumblies? How did I miss that!? 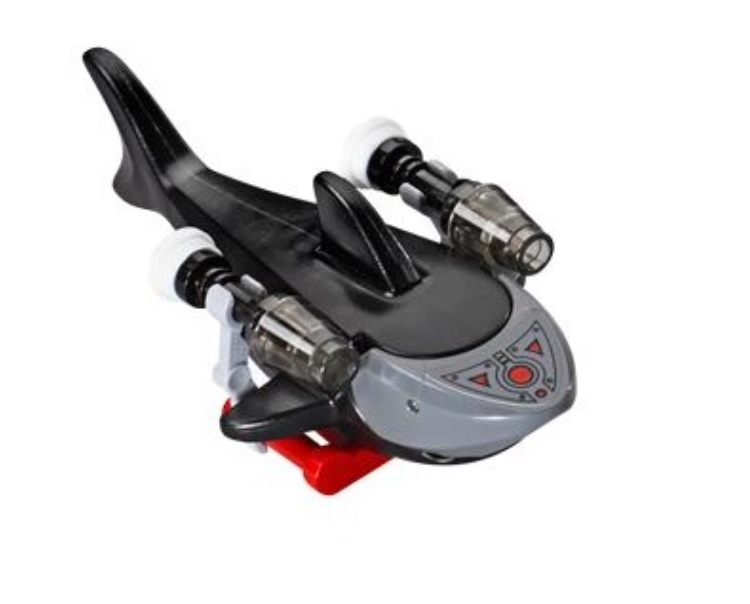 I think we're a bit past an Austin Powers license... unless there are sharks with frickin' laser beams on their heads! I clearly see a Eurocopter Tiger. Didn't we have Sharks with frickin "laser" beams in one of the original Agents sets? Though in my own defence at the moment, these pain killers make me think I'm FAF. I've no excuse for the rest of the time though. Some good details in the second page as per part use. Looks like new molds for the wheels! "Learn more about the world of Bond" is an interesting choice of words. 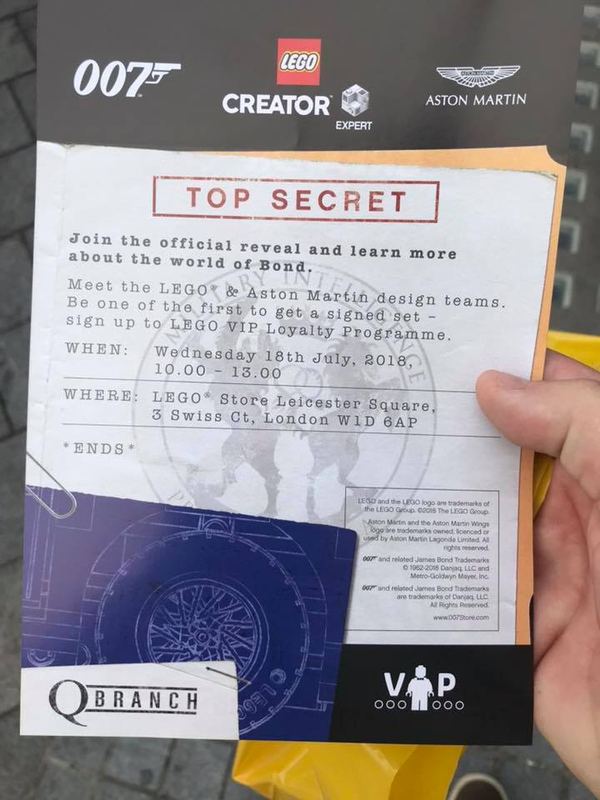 An optimist might say that means it's more than just the Creator Expert model but perhaps it's just relating to the experience that'll be available in the store - maybe they'll make it up to look like a classic Q branch scene as they've used a Q branch logo. Not only does the leaflet just give the 'boring' time of 10:00 rather than 10:07 but I also love the ironic endless references to being 'top secret' in all the marketing out there. There's a Palpatine meme in there somewhere. As found by @vizzitor on the leaks thread, there is a leak on reddit. here. I'm predicting those wheels are "hub cap" elements on an existing wheel. On a first look, it's nice, and I'd like it... it's just, well, it's another big haul of grey plastic parts and I'm going to struggle to justify it. Although, I do want a lot of the parts I think I can see. You can only post memes in off-topic. You're torturing me! If that's what the car looks like, then i am happy that i wasn't planning on buying it. I like it, looks like a lot of fun building techniques to render the front end. Looking forward to seeing the rear, interior and what gadgets are hidden in it. Not wowed by the set, have to wait and see how many cool little gadgets it has. 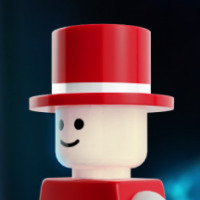 Word is no minifigure, which is sad given we would have got one had it been a dimensions set like originally planed. 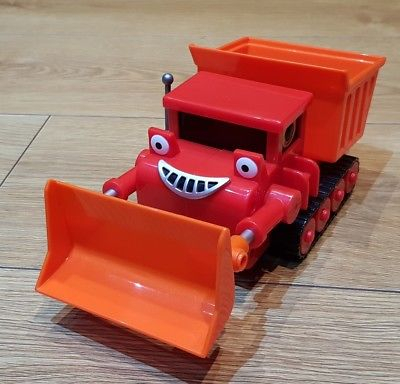 I do wonder if this will be the new direction the creator vehicle sets go in. Just with dimension licences we could get a DeLorean, KITT, A-team van, Ecto-1, Mystery-Machine. Disappointed by the image in the leak but sets often look better in the flesh. Just having the car will be how they got around their restrictions on portrayals of violence. After all, if there is no spy to operate it, it's just the car isn't it? The car doesn't kill anyone or anything like that. I like it. I doubt there is much improvement to be made to how square that is. @Mr_Cross, I can never get enough LBG spare parts. 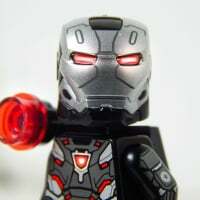 However, if I get this, it's not going into the spares collection, it'll stay built!! Oh, and the leak on reddit has been deleted, by the looks of it. ^ It's just at the moment, my LBG is way out of proportion with any of the colours I have and I've been conciously avoiding too much more, just buying odd parts in grey. The leak was all over instagram about an hour ago... still is at time of writing. Meh. I'll need to see it in the bricks. But for me its too slab sided and the rear looks all wrong, the C pillar needs to come forward a bit as the boot is longer than it looks in the picture. Not a day one for me. If the leaks I saw are legit - and they appear to be - I have to agree with some of the other posts about the slab-sided-ness and the C-pillar. 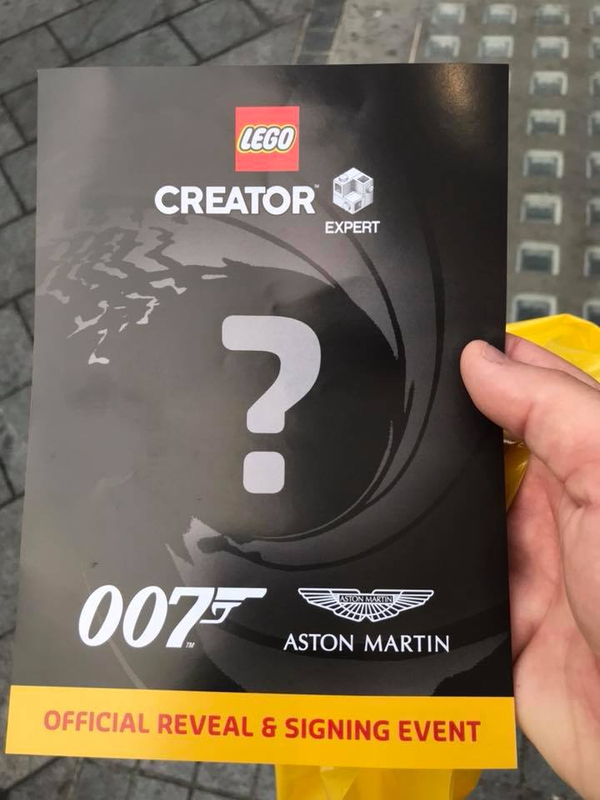 Last summer while I was still working at Lego, when the London Bus came out I was having a conversation with a co-worker about what the 2018 model could be. My argument was that it needed to be a vehicle with universal appeal worldwide, which eliminates a number of lesser options. 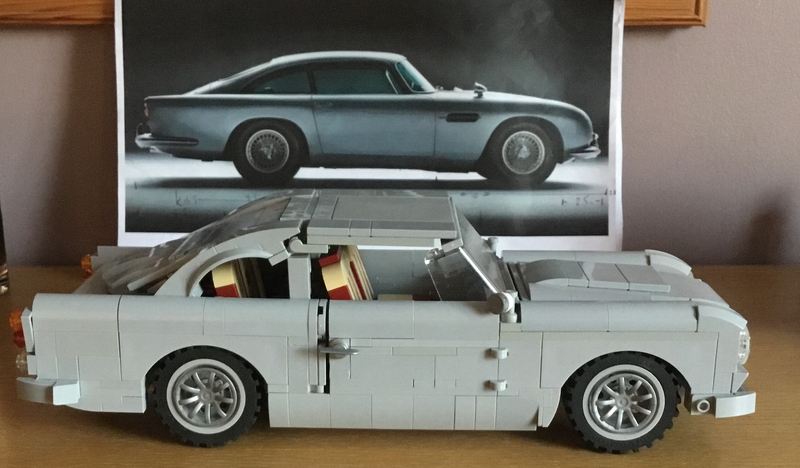 I said I would love to see a DB5, but didnt think I'd ever see one as I wasnt sure how the shape would translate to brick. Looks like I was right on both counts. My guess was that they were going to do a classic pink Cadillac, especially as theres one in the Diner. I'll keep a spot open on my shelf for it, but I might wait till double points. The post says it's deleted - how are you all seeing it?? I'm on the fence about this one having seen the leak. It's a lot better than the bus which remains the worst Creator car to date but not nearly up to the standards of the Mini/F40/etc. 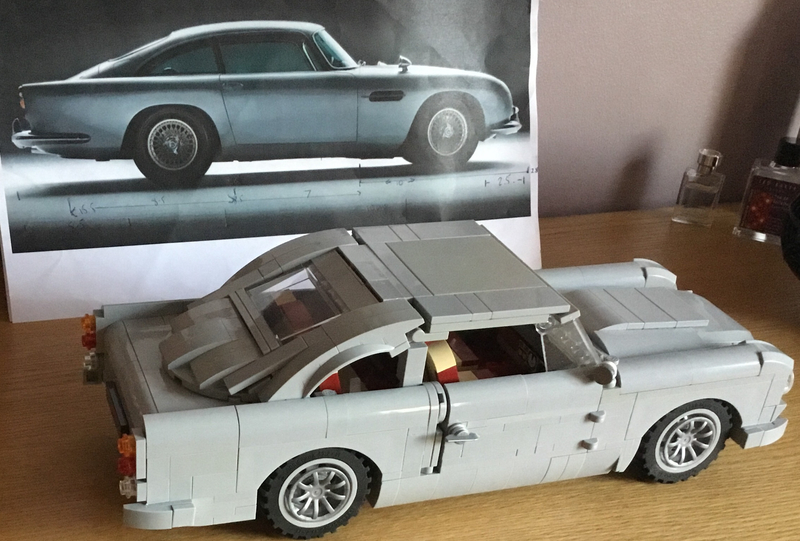 I'm not to worried about the slab sidedness as the curve on the sides of a real DB5 are very gentle and probably require to mush fidelity at this scale in Lego. Actually I think from the lights back it's pretty good considering the limitations of the medium and if they have fitted in a few Bond style goodies. What really lets it down is the face. The lights are not great but if it was them alone it would be passable however the real villain of the piece is the grill. 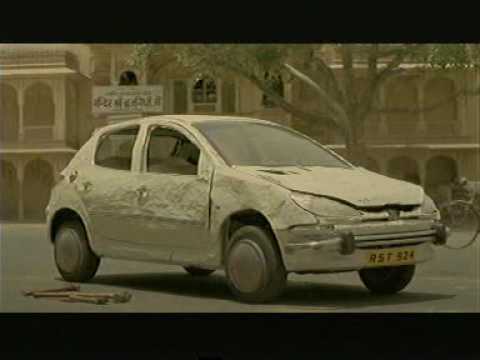 Whoever looked at that an went 'yep no need for improvement there' needs to look again at the real car! It's a poor shape which I can think of a couple of ways to improve and where the slabiness doesn't work and needs to be improved. All in all a mixed bag but I'm interested enough to turn up to the launch and see if it can win me over in the flesh. It's also on instagram, until it gets taken down, I guess. 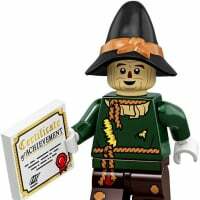 Unfortunately, this forum converts instagram links into embedded photos. Google for "instagram gregdeezey" and you'll find it on his stream at the moment. 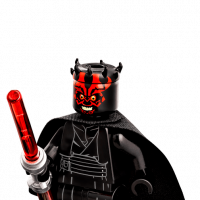 The more I look at the leaked image, the more disappointed I am. The DB5 is one of the most beautiful, timeless cars ever created. I would put it in the pantheon of top 5 automobiles of all time, along with the E-Type, the '59 Cadillac, and a few others. The DB range has continued to evolve into some of the most gorgeous, poster-worthy, athletic designs currently on the road. If the adjective "succulent" could be applied to any car, the DB5 would certainly qualify. This version is truly disappointing. What makes it harder, for me personally, is the excellent Jaguar E-Type that did not pass the most recent Ideas vote. I think it was a very good imagining of the source material, and honestly, I would rather have the E-Type on my shelf in lieu of the new AM. Instead we get a pop-up book, which, while cool, will quickly lose its novelty (although I have to give the designer amazing credit for being in the unique category of having two successful submissions). I'm sure I'll get it to complete the range as I have the others, and I'll reserve final judgement until I see it built, but I'm not nearly as excited as I hoped I'd be. This and the Ship In a Bottle are equal levels of disappointment. The sides are just too flat. It looks like a Russian cold-war version of a DB5. I wonder if some technic panels could have improved it. Looks to me like a Herman Munster of a car or perhaps a vehicular form of brickheadz. 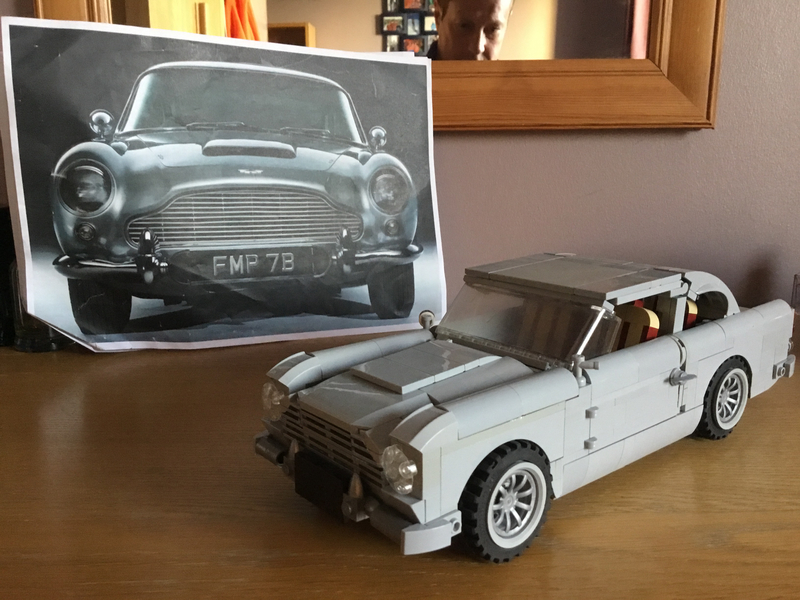 I used the 2 x 2 sloped curve on the sides on my lego Db5 attempt. Without question the hardest part is the bonnet which leads into the grill. I have cheated slightly by using stickers for the top corners of the grill as every other alternative just didn’t work. The C Pillar was also difficult so I clipped it to the roof. which left the also tricky back window panel which dovetails into a quarter sphere, also very tricky. I’ve got a feeling that I’ll be combining the two! 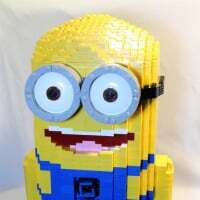 @Pempska1969 apart from using some discolored bricks I would choose your version over Lego's. Seems pretty expensive for how not too great it looks. Now we've seen pics I'm even more perplexed as to the 'why' of this set. 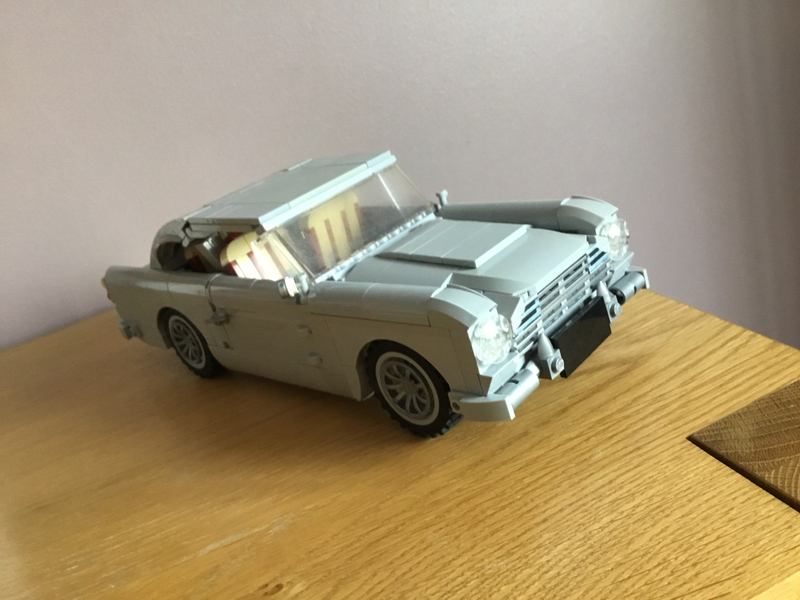 Taking away the questionable part of the collaboration (James Bond) youre left with the vehicle which, overall, is a rather poor iteration of the source material. I agree that while the DB5 is more iconic, surely a Lotus Esprit is a more logical choice if you REALLY must make a Bond car? It's not likeTLG don't already have the licensing in place to do it. Heck, if it's because one of the designers is THAT big a Fleming fan , go with the original 'spy' with all the gadgets ride - Chitty Chitty Bang Bang! Me? I'd buy three (but can't decide if I even need the Aston...). Or y'all could wait until you see more than one small image before dumping all over it. It's not like a Lego set is ever going to look like a diecast model. I am all for dissent when it comes to Lego set design, I have complained about plenty. But at least wait until the reveal. Stuff like this usually looks a lot better in the brick. ^While I generally agree with your sentiment. I believe each of my points to be accurate. Though if someone with some actual skills takes the idea and runs with it, I'll proudly accept an autographed copy! For a DB5 to be iconic it has to have an ejector seat surely? 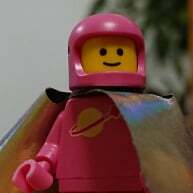 And to have an ejector seat, it needs someone to be ejected - which would mean it would have to be minifig scale wouldn't it? if a tree falls in a forest … yada, yada, yada. 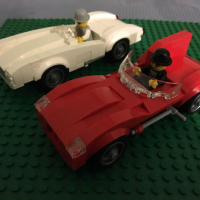 if you made the car to mini-figure scale, it would look worse than it does now.